The cyclists were part of a group of seven who were targeted, authorities said. camera (Getty Images) A traveler on the M41 road (also called Pamir highway), crossing the Pamir plateau in Tajikistan. Four cycling tourists, including two Americans, were killed in an attack in Tajikistan, authorities told ABC News. ISIS claimed responsibility for the attack in a Twitter post Monday. 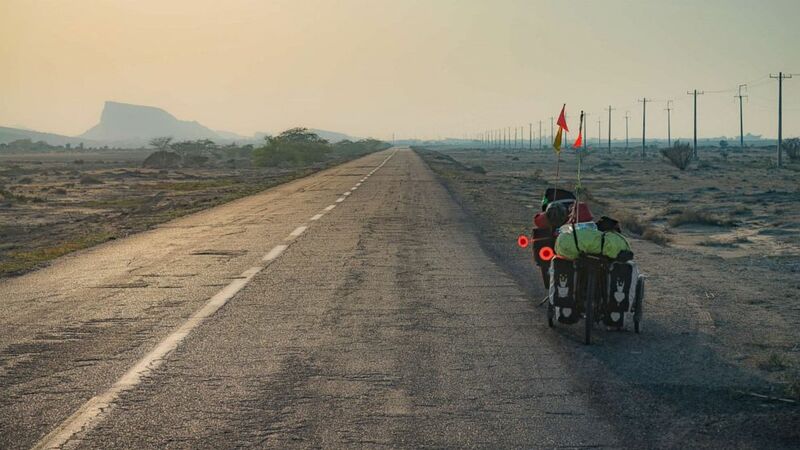 A group of seven cyclists was heading north in Danghara district, about 55 miles southeast of the capital Dushanbe, when they were struck by a car with five armed people onboard on Sunday. Tajikistan’s interior minister said that, after striking the cyclists, the people in the car got out and attacked them with a firearm and a knife. The two Americans, a woman and a man, were killed along with a Swiss man and a Dutch national. Authorities said at the time they believed it may have been a deliberate terrorist attack, although they had not ruled out armed robbery. On Monday afternoon, an IS terror group issued a statement on Twitter in Arabic claiming the attack. The post said that a "detachment from the soldiers of the Caliphate" launched to strike "citizens of Crusader coalition countries," running them over and then using knives, killing four and wounding four others. It declared, "We give glad tidings to the citizens of the Crusader coalition countries with what will disturb them, and what is coming is more devastating and bitter, Allah permitting." Earlier on Monday, the U.S. Embassy in Dushanbe condemned the attack and sent condolences to the families. The embassy issued a security alert, urging safety precautions, but saying there was "no evidence that indicates a heightened level of threat to U.S. citizens." A State Department official told ABC News the U.S. was "aware of reports that this may have been a terrorist act," but referred to Tajik authorities, who are leading the investigation. The American victims were not named, due to privacy concerns, but officials condemned the attack. "We strongly condemn the cruelty of the attackers and recognize that they in no way represent the kindness and hospitality of the Tajik people," the embassy said in a statement. 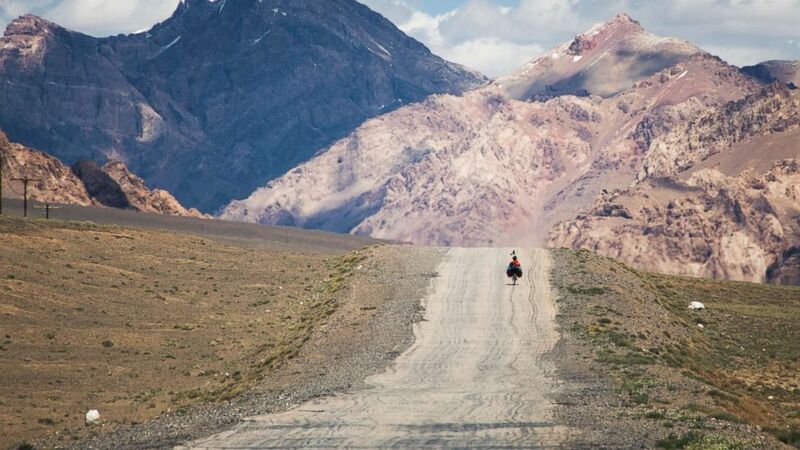 (Getty Images) A traveler on the M41 road (also called Pamir highway), crossing the Pamir plateau in Tajikistan. If confirmed by authorities, this would be the first time Americans have been killed in a terrorist attack outside the U.S. since an August 2017 attack in Barcelona. Three other bikers who were Dutch and Swiss were also injured before the attackers drove away; one Swiss woman was stabbed and is no longer in critical condition. A French citizen was brought in for a check up, but sustained no injuries, a Tajik health official told ABC News. 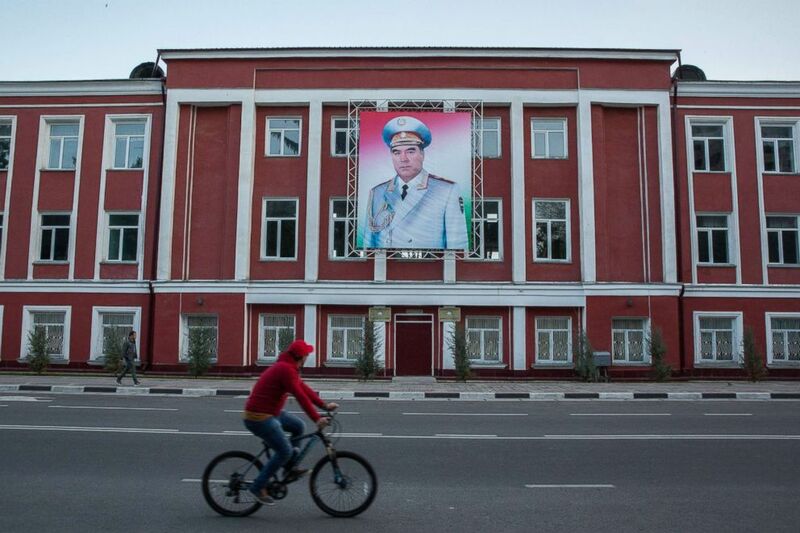 (Taylor Weidman/Bloomberg via Getty Images) A cyclist rides past a banner featuring an image of Tajikistan President Emomali Rahmon displayed on a building in Dushanbe, Tajikistan, on April 22, 2018. Five attackers were involved in the incident, Tajik officials said earlier Monday. Authorities said they have arrested four suspects and recovered a damaged Leganza they believe was involved in the incident, which was initially reported as a hit-and-run. One other person was resisting arrest and was "eliminated" as a suspect. The U.S. Embassy confirmed the attack with multiple sources and said that Tajikistan's ministry of internal affairs had detained one suspect and killed at least three others. Tajikistan had declared 2018 "a year of tourism" and authorities have been cautious about labeling the incident as terrorism. "We are looking at versions that this was an accident, armed robbery, murder. The version of a terrorist act is also not being excluded," interior minister Ramazon Rakhimzoda told press in Dushanbe earlier today. The investigation has been put under the personal control of Tajik President Emomali Rahmon. (STOCK IMAGES/Getty Images) Bikes on the Pamir highway in Tajikistan. Rahmon sent telegrams expressing his condolences to President Donald Trump, King Willem-Alexander of the Netherlands and Swiss President Alain Berset, authorities said. In the letters, he was said to have told Trump that Tajik authorities were doing everything they could to bring the perpetrators of the "vicious act" to justice. The roads through the mountains and valleys of Tajikistan and Central Asia are enticing to serious cyclists. The Pamir highway is said to be the second highest road on earth. Only the Karakoram Highway in neighboring China is higher, by a slender margin. Tajikistan is one of the poorest former Soviet republics and has struggled with poverty and instability since its independence in 1991. ABC News' Conor Finnegan and Kirit Radia contributed to this report.